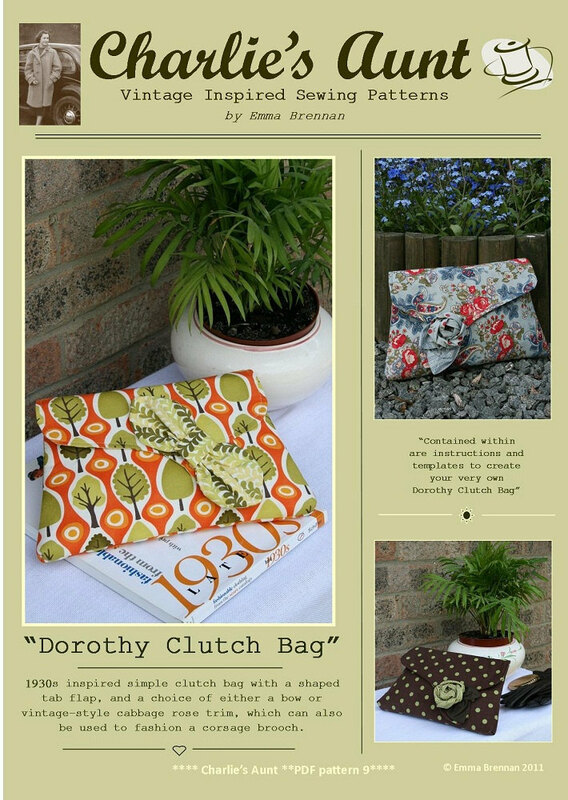 Inspired by the simple envelope ‘clutch’ bags of the early 1930’s, this PDF SEWING PATTERN is for a small, neat, easily constructed bag in the style of its 20th century predecessors. 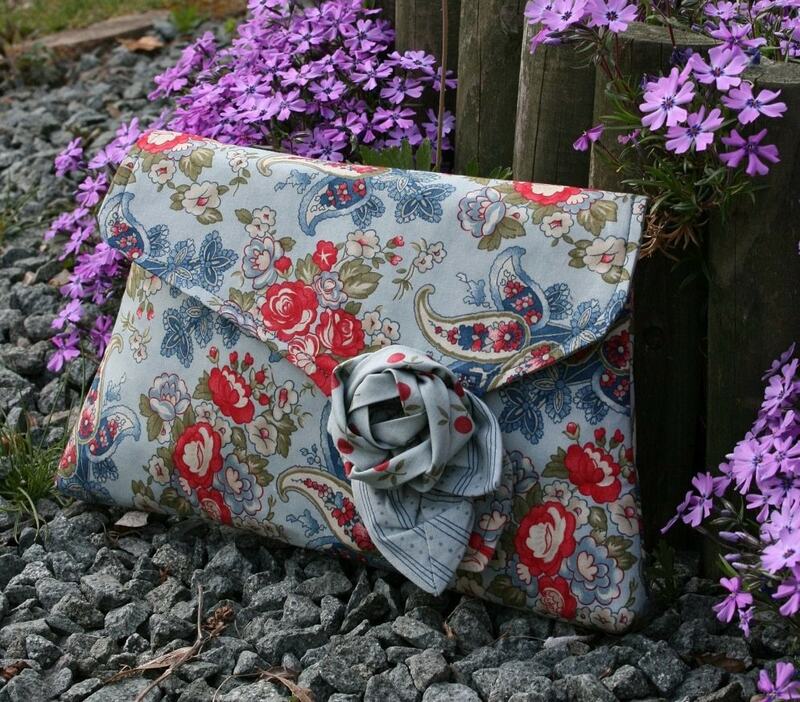 It owes its elegance to the striking asymmetric flap and choice of a single large bow or vintage style cabbage rose and leaf, stitched on at a jaunty angle. 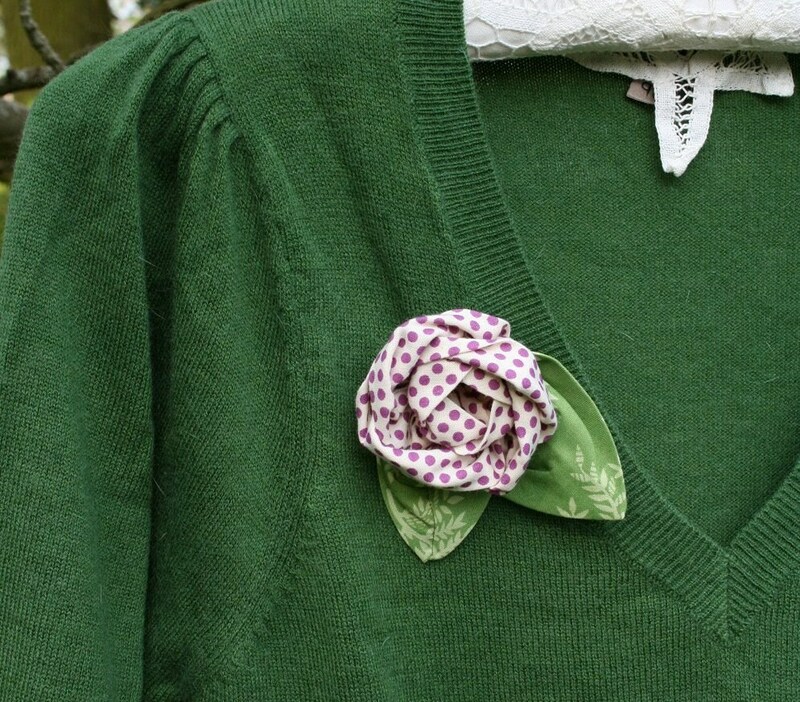 One of the Charlie’s Aunt Utility Range of easier patterns and the most popular style from my book Making Vintage Bags, this great value PDF also includes templates and detailed instructions with photographs showing you how to make the pretty 1940s style cabbage rose trim, which also doubles as a corsage or adornment for a multitude of other sewn accessories. 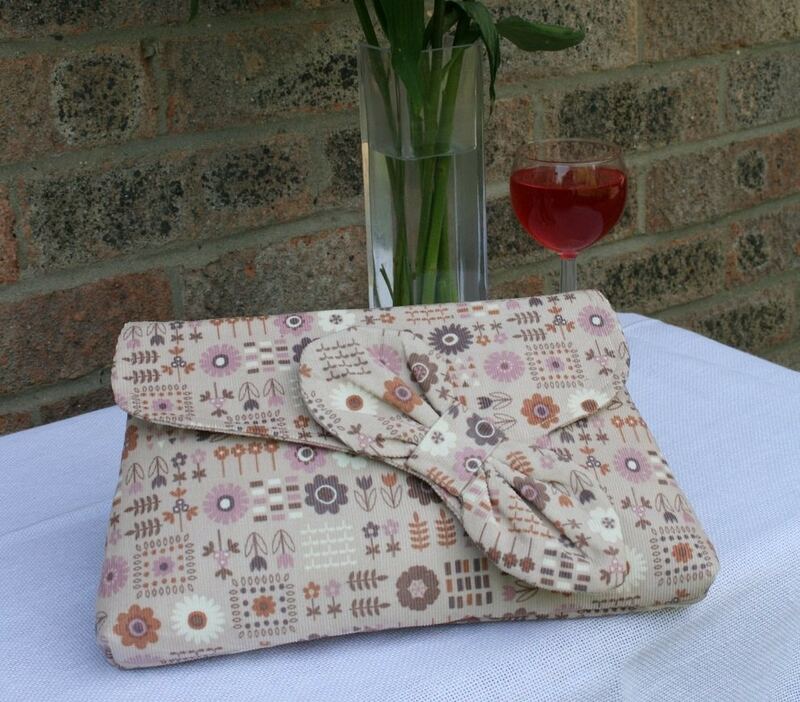 This bag is a small size making it ideal for special occasions and can be made up in everything from bright patterned quilting fabrics to pretty pastel or polka dot needlecord. 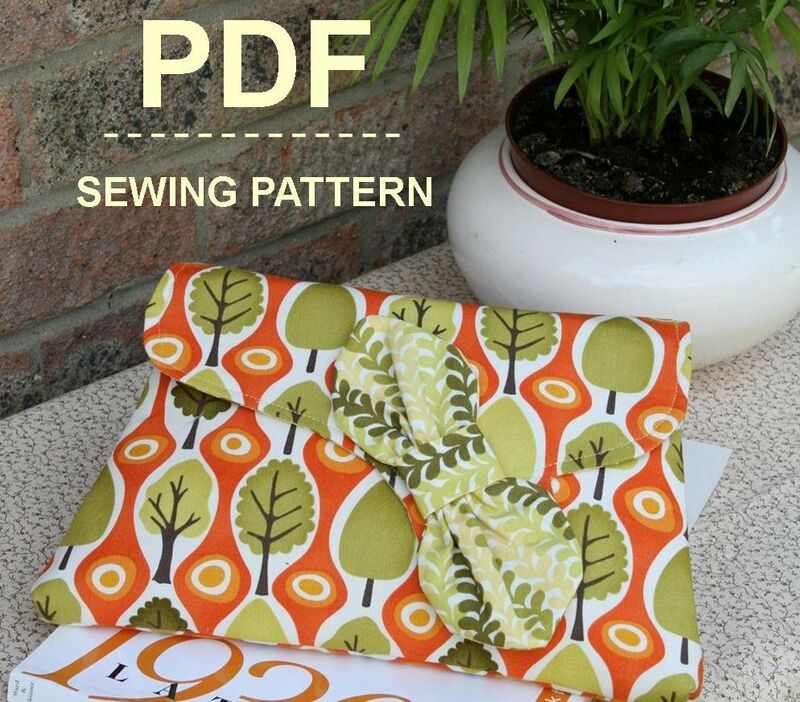 This PDF pattern has 11 pages – 8 pages including photographs, detailed instructions and illustrations, plus 3 pages of full sized pattern templates which you must print on letter (A4) paper and cut out.